David Leefe chairs the firm’s 20+ member Maritime, Oilfield & Insurance section and serves as a point of contact for clients in need of maritime and casualty-related assistance. His approach is to find the best client-attorney match based upon the needs of the client and the broad range of experience and specialization within the practice group. 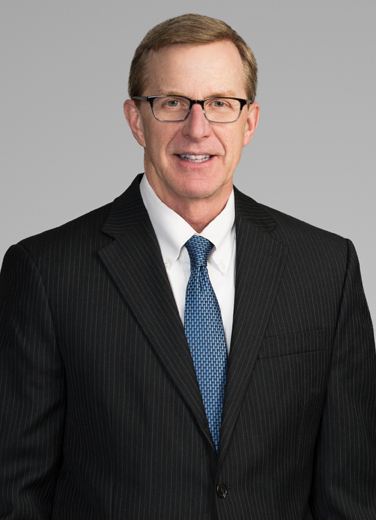 David has practiced law for over 30 years, all with Liskow & Lewis, and his experience includes a broad range of litigation and contract matters. His practice emphasis is on maritime and offshore personal injury and property damage, drilling and downhole litigation, contractual indemnity, insurance coverage, maritime liens, and casualty investigation and response. He has defended hundreds of cases falling under the Jones Act, OCSLA, and general maritime law, and he is routinely called upon to analyze complex questions of oilfield indemnity and insurance. His litigation and trial experience in federal and state courts, as well as arbitration, is considerable. David plays an active role with the Louisiana State Bar Association. He has served as a member of the LSBA House of Delegates for many years, and was elected to the LSBA Board of Governors for the 2014-2016 term. David is particularly proud of his service as the longtime Chair of the LSBA Client Assistance Fund Committee, whose mission is to reimburse individuals victimized by lawyer misconduct. David also previously served on Liskow’s Board of Directors.